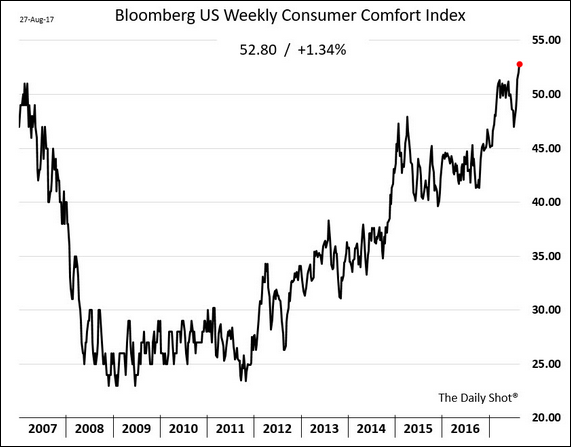 The United States: The Bloomberg Consumer Comfort Index hit another multi-year high (the highest since 2001). 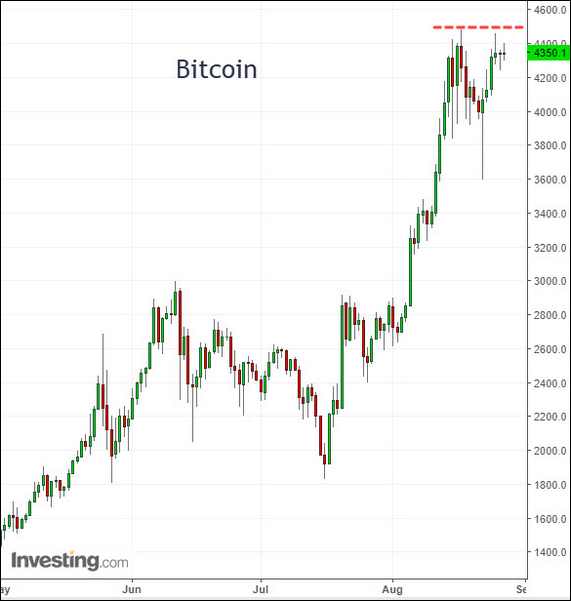 Will this trend translate into higher spending? For now, big-ticket items such as houses and autos don’t seem to reflect this consumer exuberance. 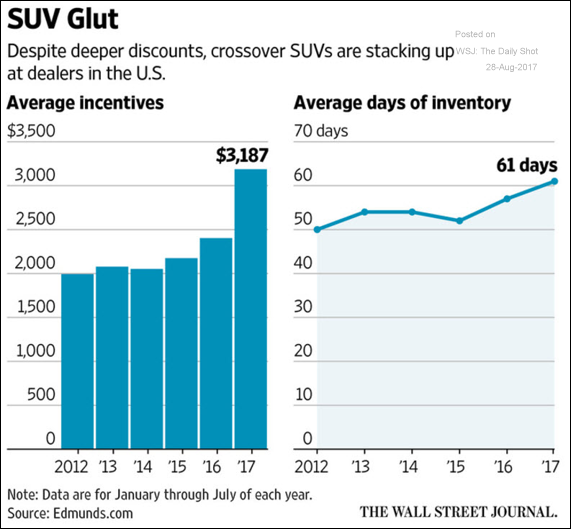 For example, inventories of crossover SUVs are piling up at dealers despite a significant bump in incentives. 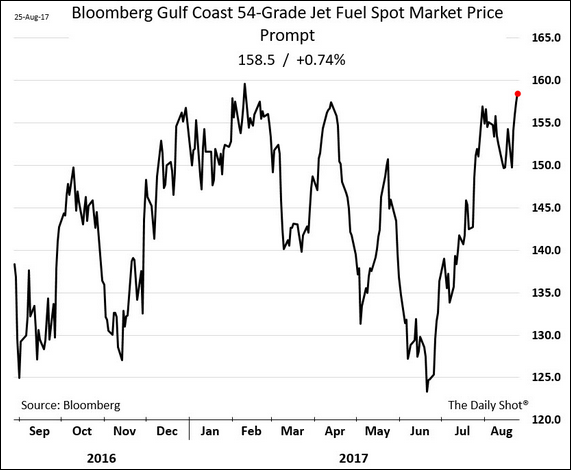 Energy Markets: Hurricane Harvey’s impact on the Gulf Coast refining operations sent jet fuel prices sharply higher. 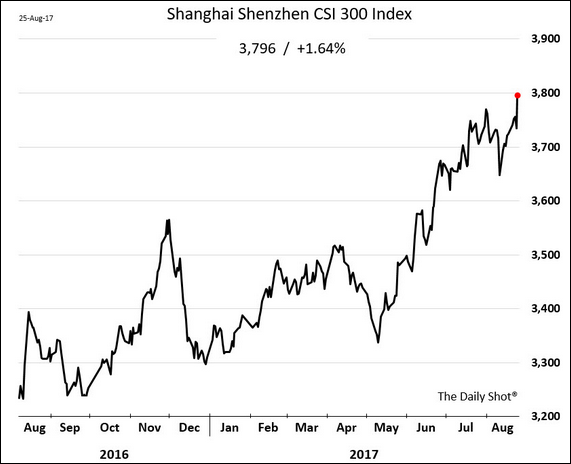 China: China’s stock market rally accelerates. The Eurozone: Mario Draghi said that the global recovery is “firming.” Some analysts now expect October to bring news of the ECB’s QE tapering plans. The euro rose to the highest level since 2015 against the dollar on Draghi’s comments. 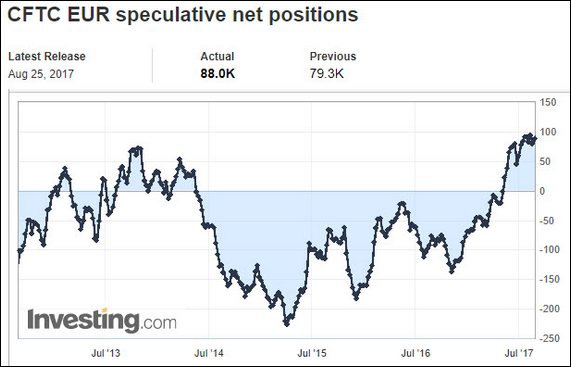 Speculative investors continue to bet on the single bloc’s currency appreciating further. 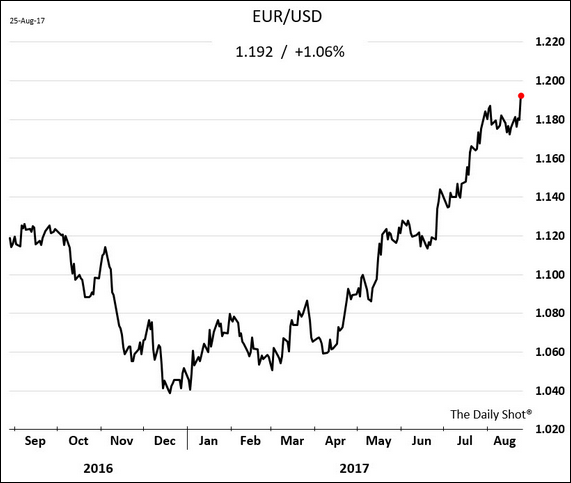 Some have suggested that buying the euro has become a crowded trade. 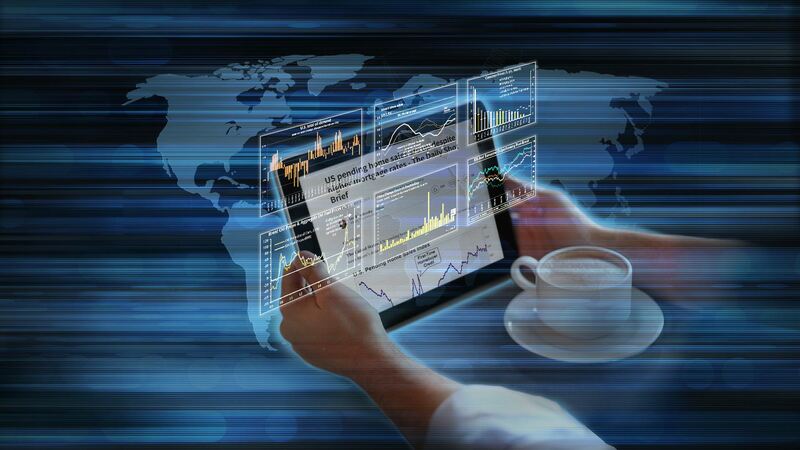 Will the ECB disappoint? 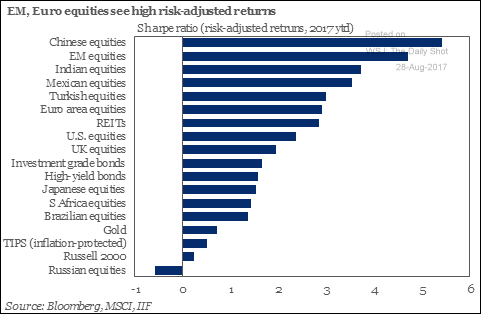 Emerging Markets: Even on a risk-adjusted basis, EM stocks did very well. 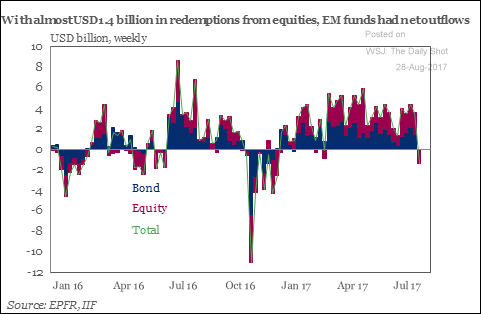 EM funds had some outflows last week, which didn’t appear to hurt performance. 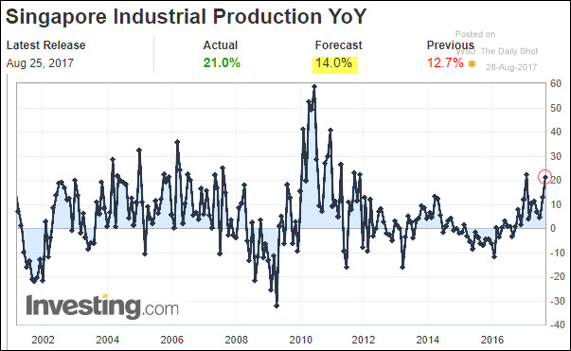 Asia: Singapore’s industrial production surprised to the upside (a 21% year-over-year increase). 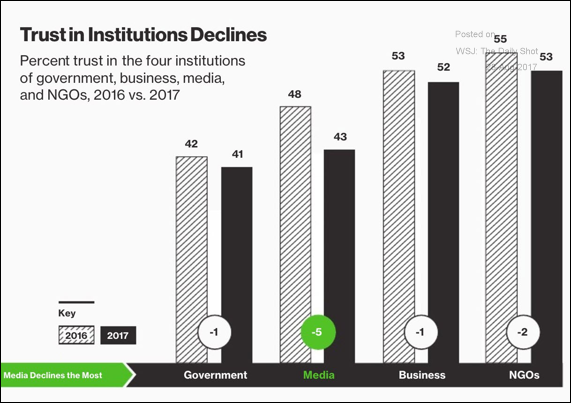 Food for Thought: Trust in institutions (globally).